Rosco Levee is a multi-instrumentlist, producer and natural born rockstar. Raised on the Rock n Roll, Blues, Gospel, Motown and Soul of his fathers vinyl collection, when he came of age he quickly knew what he wanted to do, who he wanted to be, and how it would all come to be. Levee first shot to our attention in 2012 with his debut critically acclaimed album “Final Approach To Home”, where he taught us not to pigeon-hole his sound. His song “Goldrush”, a heady brew of sweet Dixieland lullaby Country Blues and Southern Roots Rock N Roll, was not only revealed by Glen Campbell as a favourite song of his but was also nominated “Best British Blues Song”. His 2014 follow up record “Get It While You Can” only served to cement his position at the top of new British Blues Movement, garnering rave reviews and many interviews and live sessions. Leading from the front, Levee has been compared with Clapton & Kossoff but with the stage presence and charisma of Stevie Marriot. 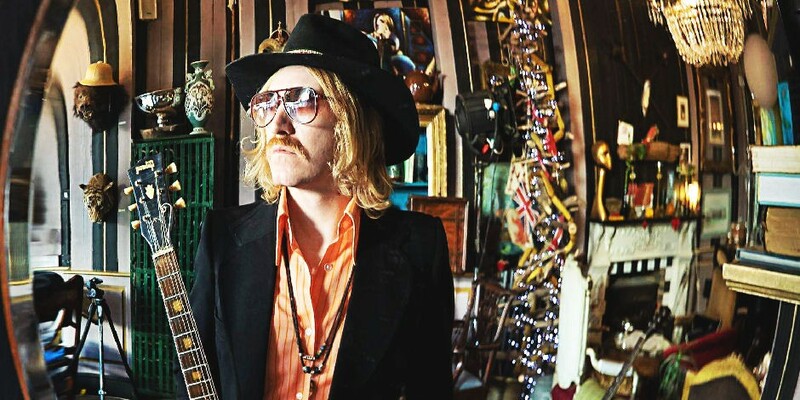 Rosco Levee and the Southern Slide stormed across the UK and Europe tour circuit leaving audiences blown away by their authentic performances and Rosco’s song-writing. BBC Scotland championed “Get It While You Can” as their record of the month and they were given major radio airtime across the UK, Europe and the States which helped to keep them on the road. The album was given 9/10 by Classic Rock magazine and the band got a mention on the cover as one of the hottest bands to watch. The much-missed magazine Classic Rock Blues said of them “Nobody else on the scene does what they do at the minute, and even if they tried, they couldn’t do it as well….peerless is the word”. Whilst taking some much-needed downtime to concentrate on his family, Rosco stayed busy writing and producing several different projects with other artists and always keeping his chops up to speed by guesting with various members of the blues scene royalty. For the best part of the last year Rosco has been seen working on a project with his partner Rosalie Cunningham (Ex Purson). Of her ner new record due out this June he’s said “It’s a massive challenge, but the depth to this record is scary and brilliant. I can’t wait for the world to hear it”. Rosco’s third album is well underway too – “I’ve started and scrapped the record 3 times now but finally am happy with the results we have been getting. Expect new influences and sounds, Rosalie is co-producing and its some of the best stuff I’ve ever written. I can’t wait to get out there playing this new material to the world.” Rosco will be debuting the new material, as well as some of his “greatest hits”, live at Linton festival this year and will be joined by an all star band.